Need an additional apron for a sibling or a grown-up? Or just want an apron without a subscription gift pack? 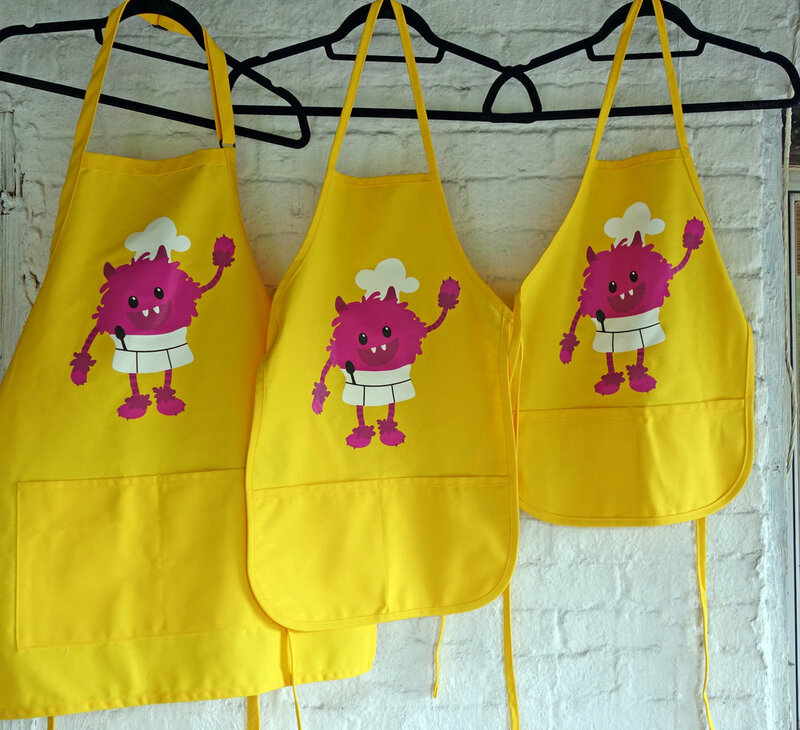 We've got aprons in two sizes for kids as well as an adult size. You can add on a matching chef hat if you'd like too! High quality American-made 65/35 poly cotton twill fabric with wrinkle and stain release. Kid sizes: fixed neck. Adult size: adjustable neck. All sizes: 2 pockets. Washing machine and dryer safe. Do not iron the Nomster Chef image. We cannot offer refunds or returns for aprons and chef hats. If you would like to exchange the apron for a different size, email support@nomsterchef.com . The aprons and chef hats take 3-5 business days to arrive. Shipping rates are calculated by total package weight.